Famous German car maker, BMW, is celebrating today what is its 100th anniversary of starting operations, and for what it’s worth there doing it in style. Bayerische Motoren Werke(BMW) in Munich, Germany has unveiled what it calls as the ” Vision Next 100″ concept, which is essentially a blueprint of what BMW vehicles in the future are going to be like. From its early days of the Dixi, the first in an illustrious list of “Ultimate Driving Machines” from the stables of BMW, to the Vision Next 100 Concept, the company has grown leaps and bounds over the years, helping it become one of the most respected and trusted names in the automobile industry. 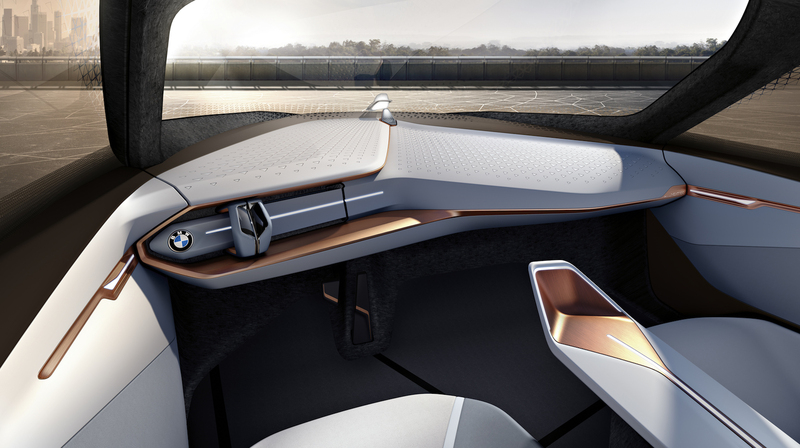 The BMW Vision Next 100 Concept as BMW points out is a “highly customised vehicle perfectly tailored” for individual drivers and their journeys. This vehicle which looks straight out of the future, as claimed by BMW, produces no emissions and if the need arises can even drive itself. 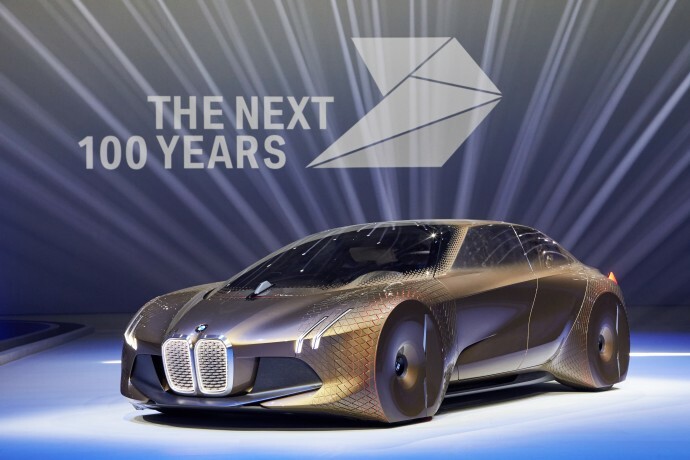 BMW has stressed that digitalization of the cars will be a major area of focus in the coming years, and as such the Vision Next 100 will embody that commitment of the company. BMW going ahead wants the interaction process between the machine, technology and the driver to be as streamlined as possible. BMW has also revealed plans for what it calls the “Alive Geometry” technology. 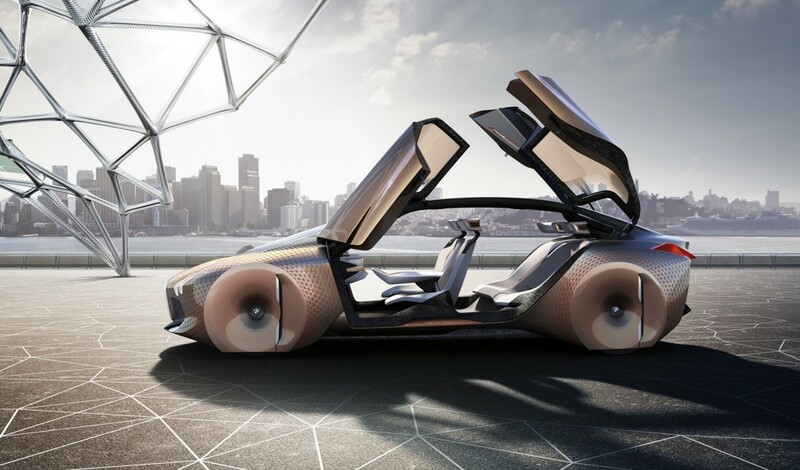 BMW explained that “Alive Geometry” is an innovative technology for the exterior of the car which will see it creating a body which will act like a skin, and help the vehicle’s body change their shape to improve driving performance. An example of this Alive Geometry are exterior panels such as the ones found covering the Vision Next 100’s tyres which will change shape to aid the concept car’s aerodynamics. 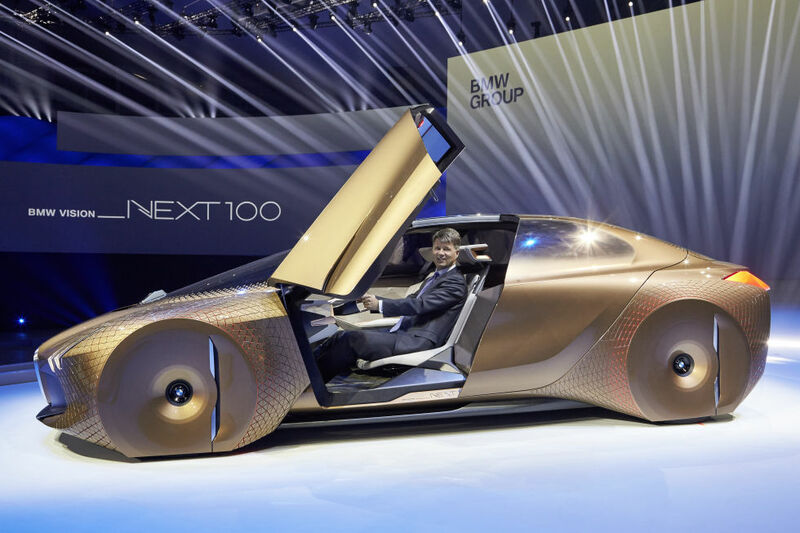 The Vision Next 100 concept will visit some major cities during 2016. First up will be the Chinese city of Beijing on May 5. It will then make way to London on June 16 and finally ending its journey when it reaches Los Angeles on October 11 where the company will also unveil the BMW Motorrad concept.